The MK5 with Hydraulic Roller System is the most versatile of our range – its design enables it to be transported with ease. This machine comes fully equipped with a petrol, diesel or 3 phase electric power unit and 20ft quick release hose pipes. It has the capacity to cut up to 12″ thick blocks and up to 24″ wide. 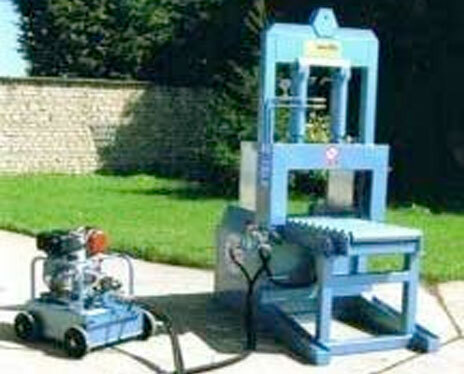 The guillotine will create approximately 80 tonnes of cutting pressure at full pump BAR rating.